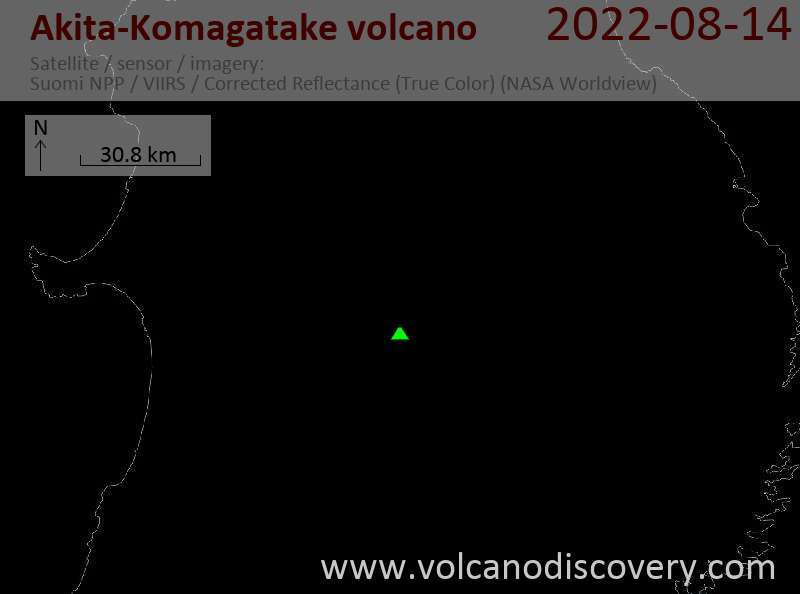 Akita-Komaga-take volcano is an active volcano in northern Honshu. It is located 10 km east of Tazawa Lake, near the border of Akita and Iwate prefectures, and forms the southern extremity of the Towada-Hachimantai National Park. The volcano consists of a main edifice cut by 2 calderas that formed after 2 large explosive eruptions between 11,600 and 13,500 years ago. The calderas are partially filled by younger cones. Historic activity consists of small eruptions from cones and fissure vents inside the southern caldera. 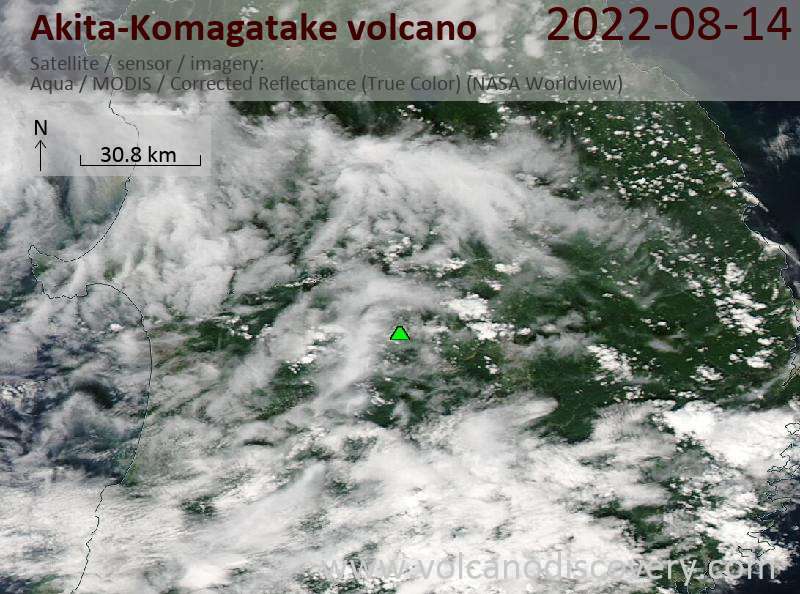 It is suspected that Akita-Komaga-take's eruptions are often not preceded by much seismic activity, as was the case during the last eruption, in 1970.